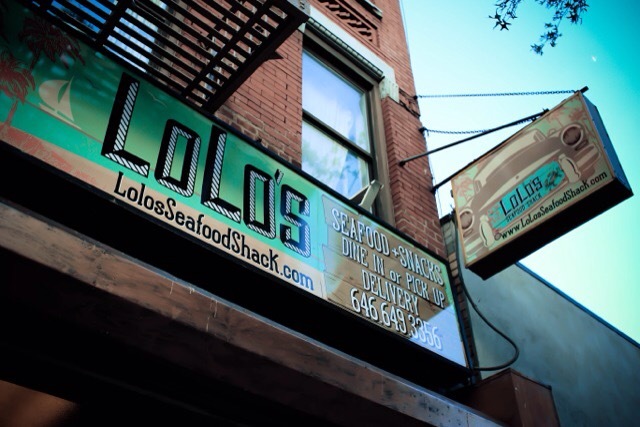 Lo Lo’s Seafood Shack opening on West 116th in Harlem | HarlemGal Inc. I received an invite today to come visit Lo Lo’s Seafood Shack in Harlem! It offers Caribbean Street Food. To be honest, I had no clue another restaurant opened on West 116th in Harlem! Here’s the menu and their website. I plan on checking it out! Hope to see you there! This entry was posted in 116th Street, food, Frederick Douglass Blvd., Harlem, Harlem bloggers, Harlem blogs, Harlem businesses, HarlemGal and tagged Harlem, lo lo's seafood shack, where to eat in Harlem. Bookmark the permalink. I’ve eaten there recently. It was really good. Had the crab sandwich and shrimp steam pot. Was really full and satiated. Friendly staff. And a laid back atmosphere. A breath of fresh air from the pretentious restaurants that are popping up all over my native Harlem.